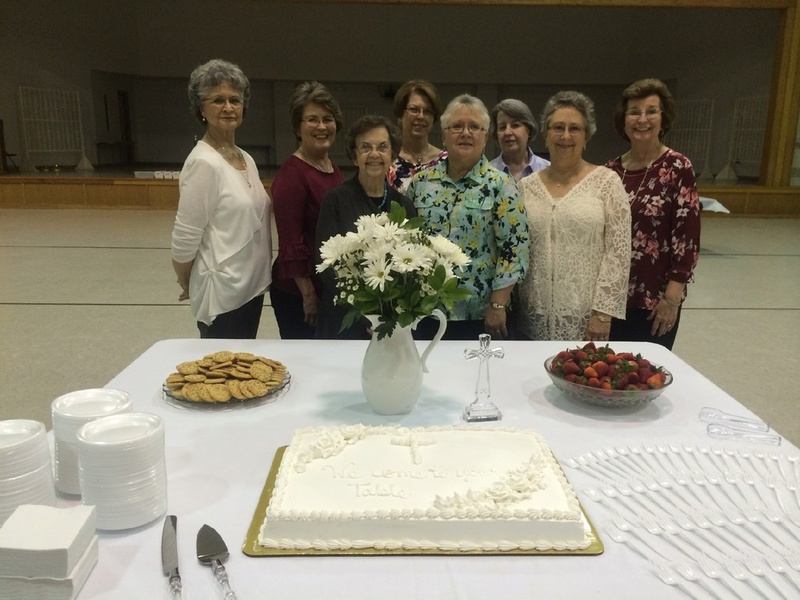 The Altar Society of Holy Family Parish of Victoria, Texas supplies the necessities of the Altar and takes care of the altar linens, sacristy, and sanctuary. Membership is open to all ladies who belong to Holy Family Parish. Regular meetings of the Altar Society are on the second Monday of each month (September-May) at 7:00 p.m. in the Parish Hall. Executive Board meetings are on the first Monday of each Month at 5:00 p.m. Committees of the Altar Society include: Bake Sale, Bunco, Candelabras, Chalice Cleaning, Christmas Decorations, Coffee and Donuts, First Communion Reception, Flowers, Funeral Meals, Games Party, Graduation Brunch, Holy Water Fonts, May Crowning, Mini-Retreat, Offertory Callers, Plants, Prayer Garden, Social, Sew and Sew, Telephone, Visiting the Sick, Yearbook, and Ways & Means.